Well, this is not exactly something that would fall into the category of what my mind does, but I am excited that it is completed and thought I would share this somewhat pointless fact. Our monstrosity of a grape arbor is complete!!! The actual building of it was fun, digging the hoes for all 18 of the posts and then setting them was not. It is roughly 64 feet long and 10 feet high. We have eight grapes of various types planted, and they are loaded with fruit. We are hoping for a really good year this year. Novels are like catechisms with flesh on. I have been thinking about this more recently as my family and I are reading through Fahrenheit 451 by Ray Bradbury. I’ll talk about it at some point when we are done, but a thought has kind of been in the back of my head for a while, and then I noticed this quote in my quote collection. I think that it is very true. First of all, I guess catechism should be defined, as it is rather an old-fashioned term. A catechism is simply a series of questions and answers compiled for teaching school children the main ideas of a subject. The most famous catechisms teach the main tenants of Christianity, but by definition a catechism is simply a collection of ideas; in essence, a summary of a worldview. Although, I believe books to be worthwhile, it is also worth considering what those underlying assumptions that you are reading, are. When I read a book, I don’t assume that the author was necessarily trying to make a point by what they wrote, even though they quite often are, but I try to keep my eyes open for little ideas that will inevitably slip in. Often I have read along, and picked up those little ideas unconsciously, not even noticing that they were there only to be questioned about them later and realize what happened. I find this exercise to be interesting and in fact, it sometimes increase my ability to understand the book. It is much easier to understand what is going on when you have a general knowledge of the ideas from which actions are being developed. I was going through some of the pictures on my computer and rediscovered this sunset. I took this while on an evening walk down our road. I remember it being breathtaking at the time, and as I look at the picture I can’t help but get frustrated at technology’s inability to capture the real grandeur of this beautiful creation. On the other hand, I continue to look at the picture and remember the actual event, which was long forgotten without it. I suppose it is also worth mentioning that if we could look at a picture of any place in the world and feel the same sense of awe, it would detract from the awe we would be able to feel in real life. For example, what makes seeing the Grand Canyon or The Canadian Rockies, spectacular? Isn’t it the fact that as you stand there, on the edge of a one-mile deep gorge that may be as wide as 18 miles across, that there is nothing that can quite compare? Isn’t it he fact that its massive proportions are something out of everyday experiences? We would have a much harder time finding something to awe us if we could feel that sense of splendor whenever we wanted by simply viewing a two dimensional image. Of course these are exaggerated examples but I think that it is the same principle. As soon as something becomes common it is no longer uncommon. This makes perfect sense and it is something we all know intuitively but at the same time, we rarely acknowledge it. Special days are special because they are…special. If you do what you would do on special days every day, it is no longer special. Your favorite food will not be your favorite food if you eat it three times a day for a few months. (If you don’t believe me, try it.) Therefore beautiful sunsets are only considered beautiful if you don’t see ones like them every single day. I’m glad a picture just isn’t the same. There you have it. For all you people (myself included) that struggle with criticism and worry about whether people will like what we say, do, think, etc. just remember; all you have to do is absolutely nothing. I am my own worst critic. I am of the opinion that I am just surrounded by overly complementary people, but maybe that is just my critical side not letting go of the fact that my work is not exactly as I could have wished. Other people have very critical audiences. They struggle because everything they do is looked down upon or torn to shreds and their sparks of inspiration have five-gallon buckets of water poured onto them. If that is you, just remember; all you have to do is stop doing anything. Now that you are all inspired and fired up, (not) I will dash all of what I just said and point out that it is very easy to criticize somebody who does nothing. We do it all the time. We call them couch potatoes, bums, wastrels and all manner of other things. So, if you want to escape criticism, all you really have to do is not exist. Be nothing. No, we should never stoop to the point of doing nothing because of criticism. We can never escape criticism, but we can learn to deal with it. Think of all the great things that have happened in the past. Which one of them wasn’t criticized? Christopher Columbus; no one believed that you could sail to the other side of the world. He did it anyway. Copernicus and Galileo; no one believed the earth revolves around the sun. It does. John Harrison; no one believed a sea going clock possible. He built one. To build the transcontinental railroad was deemed an impossible task by many. There are now whole highway systems that run from coast to coast. There was a time when people believed that cars would never replace more traditional forms of transportation. There are plenty of cars and not many buggies. Many didn’t believe heavier than air flight possible. Now hot air balloons are curiosities. The educated community ridiculed Robert Goddard for his rocketry experiments and his belief in space travel. Less than 50 years later, men were walking on the moon. These and millions of lesser victories, over ridicule and criticism, could be listed, but the message remains the same: learn from your mistakes and accept constructive criticism, but never allow ridicule to stop you from doing what you love to do. This is a call to do it anyway. This is a call to push on to the goal and do your best at your work. This is a call to give your all to whatever it is that you believe in and be satisfied with it, when its done. Then you will be able to say, “I held nothing back and if the world criticizes it and says it isn’t good enough than so be it.” There is no real way to escape criticism, but the good news is, it is not necessary to do so. Well I must say that I am surprised and somewhat confounded that I would get a notification on my blog this morning to the affect of being nominated for The Versatile Blogger Award. Upon further investigation, I realized that it was not in fact an official award of any kind, but a simple tribute from one blogger to another informing them that they appreciate what is being said. In this particular instance, Lea At Sea telling me among several other more worthy bloggers that she appreciated our endeavors. Therefore, with out further adieu, I say thank you to Lea At Sea and wish to inform her that I value simple appreciation from people such as she more than any award in the traditional sense of the word. (Certificates, ribbons, etc.) While I have not and, I pray, never will blog out of hope for praise and admiration of others, it is always encouraging to find that someone beside yourself finds your interests, thoughts, and mumblings to be worthwhile. Now on to the business end of this nomination. The rules of The Versatile Blogger Award are as follows. If you have been nominated, you’ve been awarded the Versatile Blogger Award. 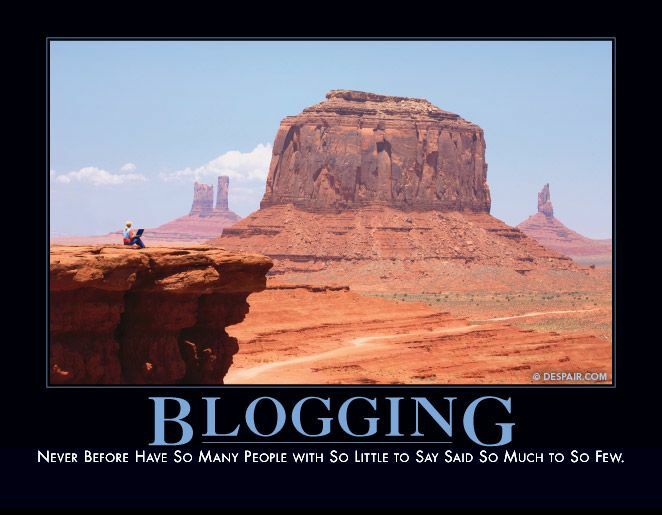 Next, select 15 bloggers that you have recently discovered or follow regularly. This is where I run into difficulties. First of all, I don’t follow 15 blogs and I don’t feel exactly right about recommending blogs I have never read before today. Call it what you will, I like to be somewhat careful what I put my stamp of approval on. That being said, I will now nominate several of the blogs I do follow and would recommend. The Heffington Post: A blog devoted to pointing out peculiarities, foibles, problems, and Humorous qualities of our culture today. Thoughts From the Corner: Various and sundry musings of another good friend. Of Strength, Love, and Silver Linings: Another blog devoted to the sharing of thoughts and ideas. The Inkpen Authoress: A fun blog that is built around literary works and pursuits. And now for the time of introspection. Here are seven random things about Wyatt Fairlead. 1: I love old things. Antique furniture, old books, Victorian era houses, and most other old fashioned things get me excited. 2: I love the outdoors. There are few things better in my mind than taking a walk through a hard wood forest on a crisp fall morning. 3: No one in my family was born in the same state and I have lived in three states and moved six times in my seventeen years of existence. 4: I am a shy person around people I don’t know, but would rather stand out in a crowd than blend in and do something I feel uncomfortable doing. 5: I have an interest in woodworking and doing things with my hands. 7: Spiders give me the creeps, but I have yet to find anything else that bothers me like that. I have loved to read for as long as I can remember. Of course there were sometimes in my life that I didn’t enjoy it as much as others, or perhaps more accurately, had other priorities; but even before I could personally read Mom and my sister and I would read out of a book for an hour or so before bed. It was always a really fun time. (We still do, by the way, only not quite as regularly.) As many of you who enjoy reading know, when a book is well written, you feel the plot. The characters are real; when they are scared you’re scared; when they are in a tense situation, your heart starts to pound, you start to breath faster, and your eyes get wide and race across the page at a full sprint. If that has never happened to you than I am sorry for you. Naturally, therefore, when stories are well written you identify with certain characters. It is when you identify with the characters and begin to equate them to yourself and experiences in your life that they begin to become role models. I have several literary role models, so to speak, but as I thought about the topic, the first one that popped into my head was Billy. If you ever find out his last name, I sure can’t remember, but Billy is the sort of young man I wish I was and had been. If you have never read Where The Red Fern Grows, I recommend it highly. It is a simple story about a boy and his dogs up in the Ozark mountains, but it somehow resonated with me, and I have read it through several times. Billy is an honest, self-driven, brave, and selfless boy who sacrifices every spare minute of two years to earn enough money to buy two hound pups. He lives, eats and breathes the outdoors, and is heartbroken when… sorry can’t tell you in case you read it. 😉 Upon reflection, I think that Billy is the literary role model that stuck with me the most. Who are some of your literary role models? Are they more ideals or are they people you can really identify with? Enough said. I just finished taking two more Clep tests in Richmond. I passed them both. (Thank you God!!) Very much feeling like this picture but it is a good sort of frazzled!